I've noticed I must be hungry when I type my note to you here as I seem to compare the many blues events with a good meal! Well, really, that's about right! Once again we've aimed to deliver to you, a varietable, tasty smorgasborg of blues galore. Why, just scroll through here and savor the many flavors that are ripe for the pickin' (and they even include wine this week!). Festivals this weekend range from Boyton Beach, Florida to Clemson, South Carolina to Victorville, California. You know you'd got a range of delectables there. So grab your appetite and go scarve up some tasty blues out there! If you missed your latest (or any) copy of the Weekly e-Guide, you can find back issues in our archives on our website! AD DEADLINE EXTENDED! AD SIZES FOR EVERY BUDGET! Ad deadline extended: What project or festival are you working on? 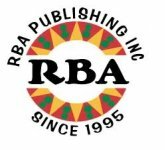 Your friends at RBA Publishing invite you to participate in the 11th Annual BLUES FESTIVAL GUIDE print magazine Advertisers get results! Our popular, annual Blues publication has 100,000 free circulation throughout U.S. and Canada, offers great rates, and features entertaining editorial by Blues’ top aficionados, and of course, dozens of festivals. The entire print magazine will also be digitized. Blues fans around the world can read the entire magazine in Digital Format. This increases circulation without using up natural resources or increasing the cost of advertising. You don't want to miss out on this once-a-year marketing opportunity. Ad sizes for every budget. Your Blues Festival Guide crew is standing by to assist you. We make advertising affordable, easy, effective and fun! TIME TO POST FESTIVALS! HECK... POST ALL BLUES GIGS! FESTIVAL PROMOTERS... Time to post your 2013 festival information on the Blues Festival Guide website. It's FREE and the sooner you put the info on ourwebsite the sooner fans will see it and be able to plan their Blues Festival adventures. ARTISTS & PROMOTERS... you can post gigs for free. 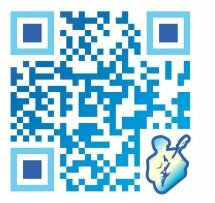 Go towww.BluesFestivalGuide.com, click on SUBMIT GIG/CONCERT and fill in blanks. It will appear in our Gig/Concert calendar within 24 hours. Producer John Autin spent a year talking and planning the new CD with Al. "I think Al's voice is one of a kind and the joy he brings to everything he sings and plays is just incredible" says Autin. "Having a chance to produce a CD on Al is a little like discovering a beautiful uncut diamond or ruby in my own back yard. 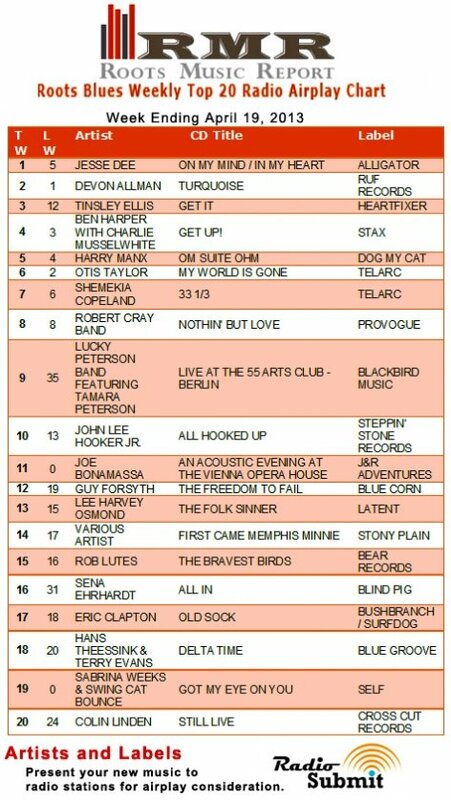 I think Blues lovers all over the world are going to be just as excited about this CDas I am." 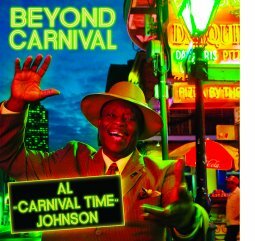 At 73 Al "Carnival Time" Johnson is just getting started. His new CD Beyond Carnival is available at www.rabadash.com now and will be released April 19 for New Orleanians and world wide on May 15. Sena Ehrhardt is unquestionably one of the freshest and most dynamic emerging young voices on the blues scene today. Once the lights come on, her commanding stage presence and gritty, soulfully emotional vocal prowess capture the audience, belying her youthful, demure appearance. On her second recording, All In, Sena has teamed up with one the foremost producers in the worlds of rock and blues, multi-Grammy Award winner Jim Gaines. The result, as Sena portrays it, was "an experience of a lifetime." All In places Ehrhardt among the very best and most versatile of current blues vocalists. Sena's co-written most of the material here with her father and guitar player, Ed Ehrhardt. The originals segue smoothly from rockers like "Buried Alive" and "Man Up" through the funky groove of "All In" to the brooding "Storm's Coming" and finally to the album's coda, a surpassingly beautiful ballad, "Dreamin and Dyin.'" 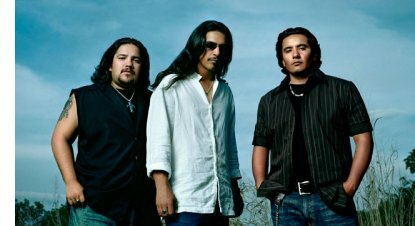 Interspersed are some well chosen covers including the mid-tempo ballad, "Cry To Me," and the blues classic, "Cold Cold Feeling." Throughout All In, Sena's performances are fresh and incisive, delivered in a style that moves effortlessly from sultry to declarative to passionately forceful. Of special note is the interplay of her vocal phrasing with her father's bold, empathetic lead guitar. NYBP has stunned audiences wherever they have played. Whether performing at the Montreal Blues Festival, aka Festiblues, or benefits to raise monies for the less fortunate amongst us, or legendary venues in New York City, audiences agree that they are a “blues super group.” But, Mud Williams, who is the son of the legendary Muddy Waters, put it best when he said, "The New York Blues Project...a great band...that's why I love the blues." Lords and ladies of the blues world, please join with Bustle Trunk Mgmt. in welcoming the New York Blues Project, featuring the Uptown Horns, to the wonderful world of the Blues. May 17-18, Hot Tuna, the blues spin-off of The Jefferson Airplane, featuring Jorma Kaukonen and Jack Casady will headline with an acoustic performance, with guitarist Steve Kimock joining them. The James Hunter Six, The Soul of John Black and Dan Treanor's Afrosippi Band will also play the two-day event at the Boulder Theater, Boulder, CO.
James Hunter headlines Friday May 17 with support from Nathaniel Rateliff. Hot Tuna with Steve Kimock will headline Saturday May 18 with support from The Soul of John Black. 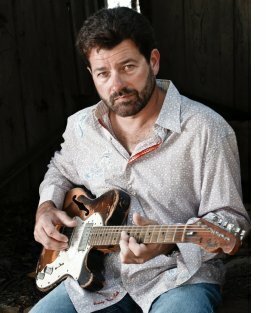 Saturday afternoon, Dan Treanor leads a FREE Blues in the Schools musical event for children of all ages at the Boulder Theatre. 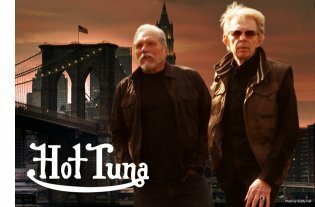 MEET HOT TUNA AND WIN FREE TICKETS! Blues legend B.B. 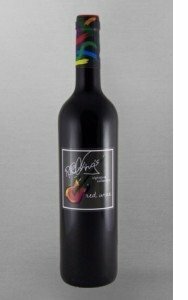 King, in collaboration with Votto Vines Importing, is proud to release a new line of signature wines bearing his name across the United States. 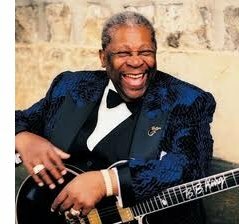 The Rock and Roll and Blues Hall of Famer has debuted the B.B. King Signature Collection. 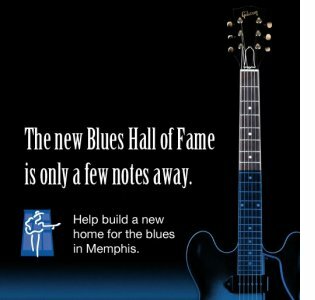 The Blues Festival Guide is partnering with the distributors to get the word out to blues fans throughout the U.S. The B.B. King Signature Collection will be comprised of a red wine and a white wine for music fans and wine lovers alike. Both wines are sourced from the award winning Bodega Santa Cruz Winery, which has been producing wine for over 60 years and is located in the up-and-coming D.O. wine region of Almansa, Spain. B.B. King Signature Collection Red 2010 is a Crianza blend made from Garnacha, Syrah, and Cabernet Sauvignon, and B.B. King Signature Collection White 2011 is comprised of 100% Verdejo grapes. Both wines are food friendly and meant to be enjoyed as everyday drinking wines. 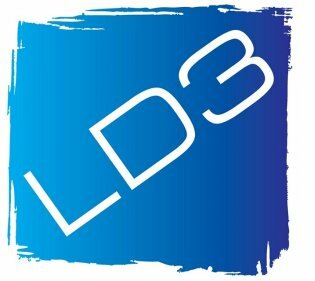 LD3 Media Group began operations on January 1st, 2012. LD3 Media Group brings together a rich history in internet product marketing, offline marketing, passionate website designers and mobile app developers. Darrell Hein, President, started online marketing in 2000 and by 2007, began offering his knowledge and experience to other businesses and individuals. By 2011, the company began offering website design and consulting, social media marketing, mobile website and mobile app design. LD3 Media Group is on a mission to help individuals, business owners, entrepreneurs and organizations understand the ever changing, complex social media and mobile world that we live in today. It is our goal to keep things simple. Enough about us! What about you?? No problem! We are here to help! Our team solves problems for you in a professional and cost efficient way! 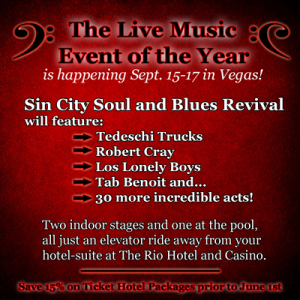 The spectacular Sin City Soul & Blues Revival featuring Tedeschi Trucks, Robert Cray, Los Lonely Boys, Tab Benoit, Ruthie Foster, and 30 more great acts is happening at the Rio All-Suites Hotel and Casino, September 15-17, 2013 in Las Vegas! Over 35 world-class soul and blues acts performing on two indoor stages and one at the Rio’s fabulous pool, all just an elevator ride from your suite. Plus, Pro-Jams will feature once-in-a-lifetime collaborations between many of your favorite artists. A world-class line-up in an intimate setting! Follow this link for more information and to book your Ticket Hotel-Suite Package for the Live Music Event of the Year. The Revival is holding a Contest for all of their Facebook Fans where they have a chance to win an Ultimate Blues VIP Package with Reserved Seating in the First Two Rows, an Upgraded Suite, and an Invitation to a Private Blues Party at The VooDoo Lounge above the Rio Hotel Casino. 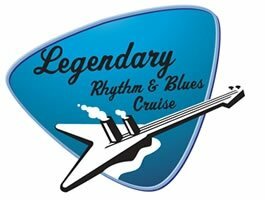 Plus, they can also win an additional Standard Ticket-Hotel Package for their favorite Blues Society. May 11, 2013, in Chesterfield County, Virginia. 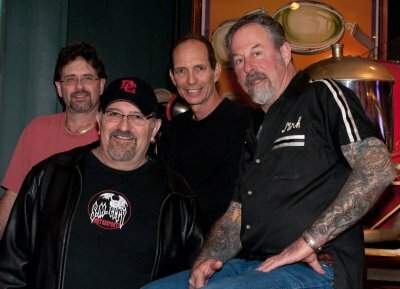 The event will kickoff with local blues bands, Andrew Alli & Last Night Blues Band (bottom) and the Mike Lucci Band (below lt). 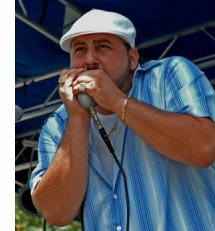 The music will continue with a regional favorite, Mikey Jr. (below rt), from Philadelphia, PA, playing a wicked harmonica. 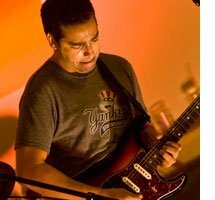 South Florida native, Albert Castiglia (lt) and his band will take the stage playing hot guitar and timely blues lyrics. 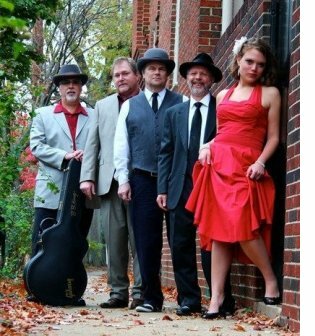 The evening will end with Washington area favorite and Blues Music Award winner, The Nighthawks (top). The festival will not only showcase the blues music of local, regional and national artists, but also the gem that is Virginia’s largest state park, Pocahontas State Park, in Chesterfield County. The festival is set in the Heritage Amphitheater where there is not a bad seat in the house as the stage is elevated. There is ample parking, plenty of shade. The amphitheater has seating and a grassy slope where spectators can set up chairs and blankets. An interactive exhibit on loan from the Library of Virginia regarding blues music and its roots in American and Virginia music will be on site. This live exhibit will also offer acoustic blues during the stage breaks with opportunities for attending musicians. There will also be a Vendor Park with food and beverages. RCBS also announces that profits raised will benefit the Special Olympics of Virginia. SOVA is a sports organization that has celebrated the spirit, courage and determination of children and adult athletes with mental disabilities. 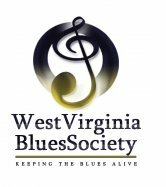 The River City Blues Society is a 501(c)3 dedicated to the preservation and to the promotion of blues music in Central Virginia. 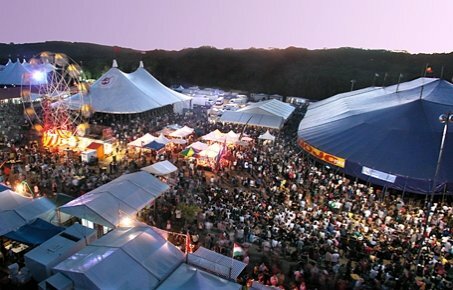 More information and tickets for ParkFest Blues Festival can be found at www.parkfestblues.com. 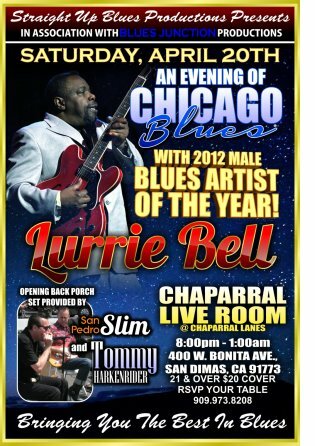 Straight Up Blues Productions in association with Blues Junction Productions presents an evening of Chicago Blues with the 2012 Male Blues Artist of The Year, Lurrie Bell with special guests San Pedro Slim & Tommy Harkenrider. Saturday April 20 at Chaparral Liveroom, 8pm-1am (400 w. Bonita Ave, San Dimas, CA) 21 and over only. Table reservations and info at 909-973-8208. 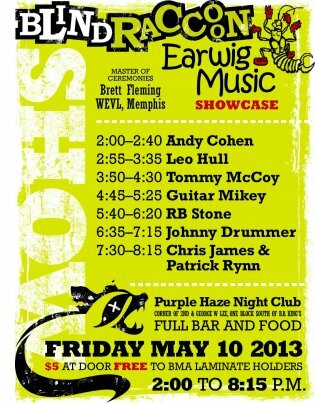 On Friday, May 10, the day after the Blues Music Awards, Memphis-based music marketing company, Blind Raccoon, in conjunction with Chicago-based Earwig Music, is hosting a showcase of blues and roots music at Purple Haze Night Club (140 Lt. George W Lee Ave.), Downtown Memphis. Admission is $5 at door or free to Blues Music Award laminate holders. Artists performing are all clients of Blind Raccoon and five are on the Earwig Music label and include: Memphis' Andy Cohen, a diehard prewar blues and folk traditionalist, kicks off the showcase. His 2010 Earwig release Built Right On The Ground features several tracks by Memphis Minnie and other artists associated with Memphis; Up next is guitarist, singer and barroom poet, Leo Hull. The title “Texas Legend” is not bestowed for nothing; Earwig artist Tommy McCoy will perform songs from his 2012 release Late In The Lonely Night . He performs a blend of electric blues, 70s soul and rock ‘n roll; Hard on Tommy's heels is Canadian born, Clarksdale, Mississippi based Guitar Mikey, performing with Memphian Billy Gibson on harmonica; RB Stone has been called a Blues Cowboy, Country Bluesman, Americana artist and Roots Rocker and he answers yes to all; Johnny Drummer, a resident of Chicago for 55 years, will perform tunes from his new Earwig release, Don’t Call Me Trash, scheduled for fall 2013. The guitar/bass driven combo of Chris James and Patrick Rynn will close out the showcase. BLUES MUSIC REALITY SHOW ...A REALITY!! "A huge thanks to everyone who has already backed our project ... and a reminder to those who haven't that you can still support us at Kickstarter! Every dollar we raise through Kickstarter is one less dollar we need to raise from sponsors ... and more time for us to work on creating the best show possible. 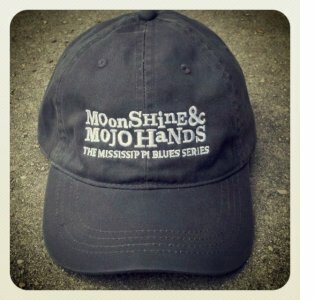 The award-winning creators of M for Mississippi and We Juke Up in Here return in 2013 with “Moonshine & Mojo Hands,” the first-ever blues music reality show! Ride shotgun with hosts Jeff Konkel and Roger Stolle as they travel Mississippi’s back roads in search of juke joints, house parties, moonshine and the musicians who keep this uniquely American art form alive. Weekly web-TV episodes of Moonshine & Mojo Hands will stream for FREE at beginning this fall. But to make the show a reality, the producers need your help! Please check out their Kickstarter campaign and consider making a contribution. Organizations and individuals interested in becoming marketing sponsors are invited to e-mail Roger Stolle at roger@cathead.biz or Jeff Konkel at jeff@brokeandhungryrecords.com. 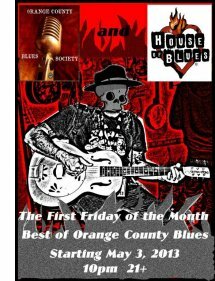 The Orange County Blues Society is proud to announce its "First Friday of the Month - Best Of Orange County Blues" concert series at the House of Blues (1530 Disneyland Dr., Anaheim, CA) starting Friday, May 3 and every first Friday of the month thereafter. No cover unless otherwise noted. Showtime is 10 pm and it's 21 and over. Info: (714) 328-9375 or web. 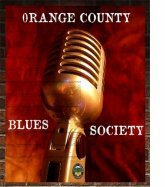 Host Papa J promises an eclectic lineup of talented blues acts from all over Orange County as well as bands and solo artists from throughout Southern Calif. This all leads up to Real Blues Festival Of Orange County 4, taking place Sunday, September 8 at Malone's in Santa Ana, CA. 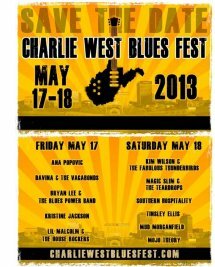 The free, Charlie West Blues Festival, May 17 & 18 to Haddad Riverfront Park, Charleston, WV, is brought to us by the West Virginia Blues Society. They partner with the Wounded Warrior Program and were able to donate $10,000 to them last year and hope to do even more this year! Admission is free but VIP Tickets available while supplies last. Demand for VIP tickets is high and availability is limited. We expect to sell out.Friday VIP—$ 30.00, Saturday VIP— $ 60.00. Two Day VIP Package—$ 75.00 Purchase a 2 Day VIP PASS and get a FREE Festival shirt! NO REFUNDS. All proceeds go to The Wounded Warrior Program. Artists this year include Ana Popovic, Davina & The Vagabonds, Bryan Lee & The Power Blues Band, Kristine Jackson, Lil Malcolm & The House Rockers. 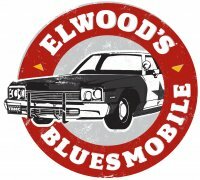 Sat lineup: Kim Wilson & The Fabulous Thunderbirds, Grand Marquis, Southern Hospitality , Tinsley Ellis, Mud Morganfield, Mojo Theory and KJ Blues. Get the Blues Festival Magazine via your local Blues Society! The Blues Festival Guide magazine comes out the third week in April each year. You can pick one up from your local Blues Society or you can order a copy to be mailed to you for a fee. BLUES SOCIETIES ORDER YOUR 2013 MAGAZINES NOW! Now is the time to order your 2013 Blues Festival Guide magazines for your members! This is your order opportunity for all Blues Societies in the USA and Canada who wish to receive our FREE annual magazines to distribute to members and/or at events. Please click on this link and complete the order form as directed. Deadline for your response is April 1st, 2013. Expect your magazines to arrive around May 1st. If you have any questions, feel free to contact us at Tracey@bluesfestivalguide.com or 775-842-9076. 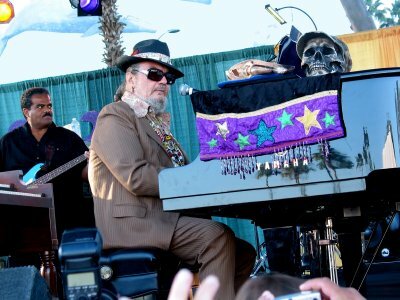 Dr. John has given the world a lot of great music over the years. His CD, Locked Down, produced by Dan Auerbach from the Black Keys, is being called his best album yet. He joins Elwood to talk about it. And, of course, Locked DownN will get a serious spin. Dr. John... Next time in The BluesMobile.